Unions concerned with Medicare, Medicaid, the future of the Affordable Care Act and support for public schools, students and teachers are angered by GOP President-elect Donald Trump’s picks for the top posts at federal departments dealing with those issues: Rep. Tom Price, R-Ga., for the Department of Health and Human Services and Michigan right wing Heiress to the Amway billions Betsy DeVos for the Education Department. Trump unveiled DeVos, then Price, as his nominees for the two positions on Nov. 28-29. He also named an Indiana health consultant and protégé of Vice-president-elect Mike Pence to lead the Center for Medicare and Medicaid Services, which runs those two programs. Price, along with House Speaker Paul Ryan, R-Wis., is a leader in the Republican campaign to repeal the ACA and replace it with a GOP plan that would, in essence, turn the nation’s health care over to the giant insurance companies again. Price, though not Trump, also wants to repeal the ACA’s ban on insurers refusing to cover people with pre-existing conditions. That’s in Price’s replacement plan for the ACA – virtually the only such measure any Republican has ever offered. His plan features more insurer “competition” for customers, but little else. And by making Medicare into vouchers, Price – an orthopedic surgeon—would remove any federal cost controls on medical charges, since federal payments account for a large share of the nation’s total health care bill. DeVos, whose family owns the direct-marketing and selling scheme Amway – and who has made millions from its channeling of payments – is a big giver known for pushing right wing causes in Michigan, including the repeal of teacher tenure and taxpayer-paid vouchers for private school students. The GOP-run state legislature repealed tenure several years ago. Trump’s nod to Price shows the Service Employees and the American Federation of Teachers—who state they’re the nation’s two largest health care workers’ unions – that the incoming president wants to dismantle the ACA, Medicare and Medicaid, risking the health of millions. Left unsaid: House Speaker Ryan wants to turn Medicare into a voucher plan. 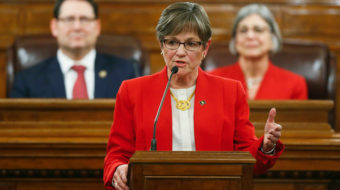 “We know comprehensive primary care is essential to the doctor-patient relationship, but Price’s proposals would block millions of patients from preventive healthcare – resulting in a worst-case scenario for physicians and their patients,” Service Employees President Mary Kay Henry and Dr. Eve Kellner, chair of the union’s Interns and Residents sector, said. “As Republicans rush to repeal the healthcare law with no clear plan to replace it, the health of millions of Americans, including our children and seniors, is at risk. 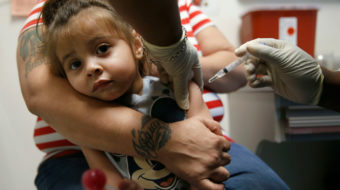 Twenty-two million Americans are at risk of losing their healthcare by January,” they warned. endangered or cut short. Children who can see a doctor thanks to Medicaid would end up instead waiting in emergency rooms. “During the campaign, Mr. Trump promised seniors that he was a different type of Republican—that he understood the importance of Medicare and would not touch it,” said Weingarten. “This nomination of Price makes that promise a nullity. It would appear from this and other nominations that raiding public funds for private profit is a more animating principle to the president-elect than Americans’ healthcare and well-being. “Price would turn programs such as Medicare and Medicaid, relied on by millions, into vouchers and private accounts, while gutting protections for LGBTQ people, women and the most vulnerable Americans,” she added. 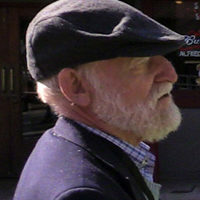 Fiesta particularly criticized Price’s “coupon-care and vouchers” as “a replacement for Medicare.” He added “Trump ran on none of these proposals. Trump does not have a mandate to destroy Medicare, a program supported overwhelmingly” across the political spectrum. The DeVos nomination – plus her inexperience with school systems and her ideology of pushing charter schools and taxpayer paid vouchers – upset Weingarten and Lily Eskelsen-Garcia, a pre-K teacher from Salt Lake City who heads the National Education Association. Weingarten was even more caustic. 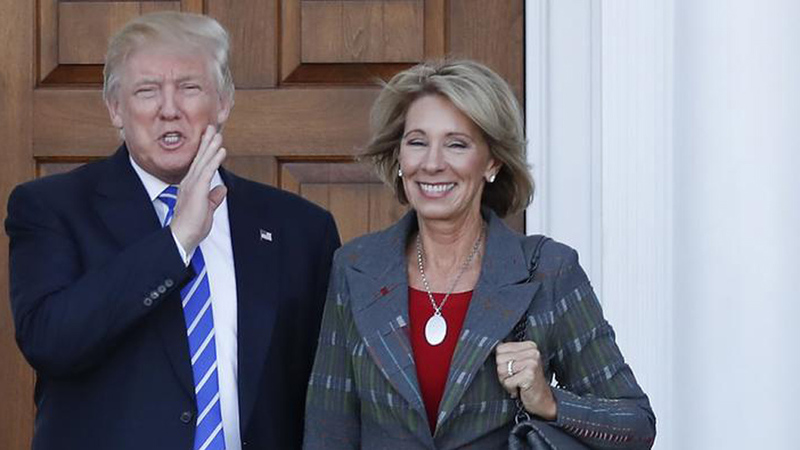 “In nominating DeVos, Trump makes it loud and clear his education policy will focus on privatizing, defunding and destroying public education in America,” she said. “DeVos has no meaningful experience in the classroom or in our schools. 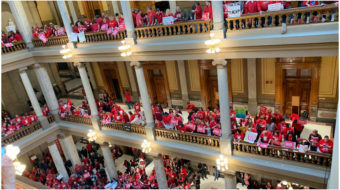 The sum total of her involvement has been spending her family’s wealth in an effort to dismantle public education in Michigan. Every American should be concerned she would impose her reckless and extreme ideology on the nation,” Weingarten said.